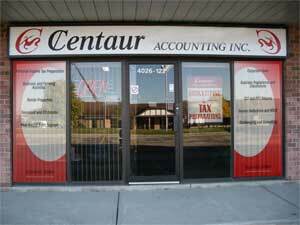 Centaur Accounting Inc. began in July of 1996 providing tax preparation services. Since then, our company has grown into an established bookkeeping and income tax firm, offering a wide range of services to our clients. Our Mission Statement is to provide accurate, professional accounting services and income tax preparation for individuals, business owners, and small corporations at fair and reasonable rates. "For the past 14 years I have used the services of Centaur Accounting for my family income tax returns. I would describe this business and those that work there as accurate, fast, friendly, knowledgeable and well priced. A local business serving London and area extremely well - one couldn't ask for anything more"
"As a client of Centaur Accounting Inc for over 10 years, I have always been pleased with the professional, timely and reasonably priced services provided by all the staff." "Faced with a 3 year full tax audit without representation from my prior accountant, it was a huge relief to have a professional, Jo-Ann, take me on as a new client and look after my interests."